Located in the Savannah Campground around 35 kilometres from the Karijini Visitor Centre and in good proximity to the spectacular Weano, Hancock, Knox and Joffre Gorges, the Karijini Eco Retreat is a unique and ecologically sound accommodation site offering quality accommodation, facilities and activities, the only upmarket accommodation in the National Park. The Karijini Eco Retreat offers comfortable eco tents in a rugged outback setting, an authentic outback experience! Karijini Eco Retreat will offer a mix of existing campsites, Deluxe Eco Tents with En-Suite bathrooms, dorm style Eco-Tents, and dorm cabins. A well-stocked bar and a permanent licensed outback alfresco restaurant offers quality Australian cuisine and is open for breakfast and dinner and packed picnic lunches can be purchased for your day of adventure. 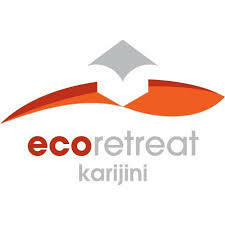 The Karijini Eco Retreat is 100 per cent owned by GEPL (Gumala Enterprises Pty Ltd). These comfortable and uniquely designed accommodation structures incorporate ecologically sustainable principles and offer natural ventilation, spacious interiors and blend harmoniously with the natural environment. These deluxe furnished eco tents have their own en suite bathroom. There are 64 unpowered sites for tents, campervans and caravans. Generators can be used in the camping loops between 4pm and 8pm daily. Shared bathroom amenities include flushing toilets and hot showers.